To inquire about availability at Casa Colonial, or to make a reservation, please first email our reservation service at reservations@casa-colonial.com See the Rates and Reservations page for more information. 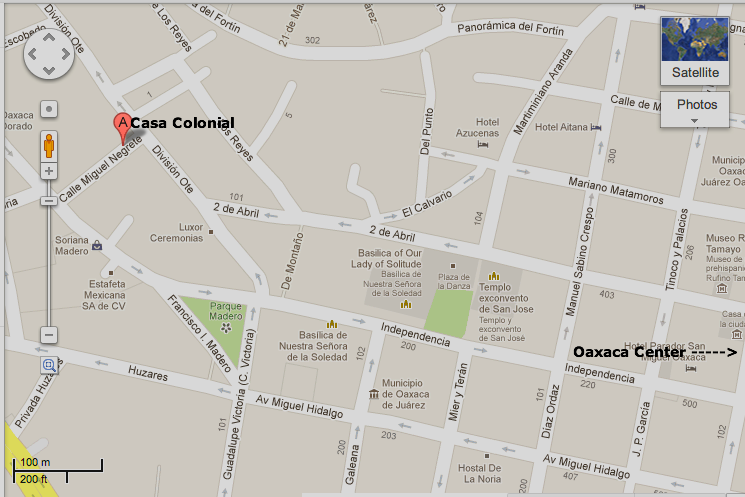 If you or your family need to reach Casa Colonial by telephone from the USA, dial 011-52-951-516-5280. 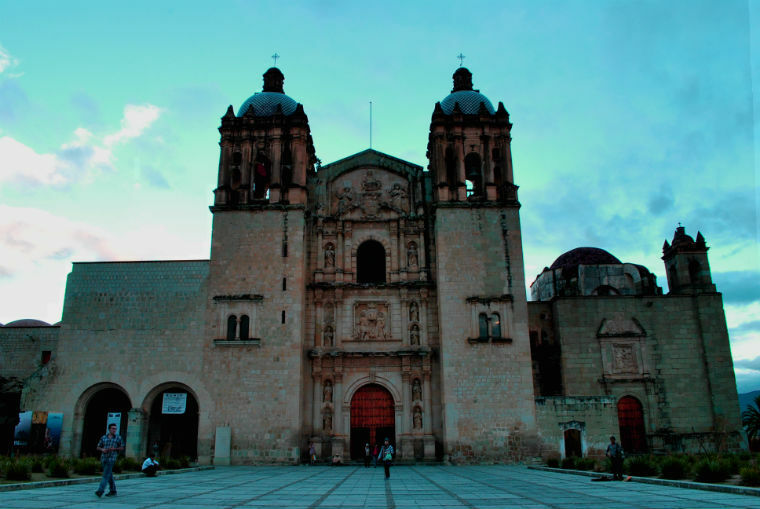 Casa Colonial is in the historic center of Oaxaca, just west of the magnificent Soledad Church and close to the famous Santo Domingo(pictured below), the spiritual heart of Oaxaca, about 8 blocks from the Zócalo, and a block from a supermarket where you can buy drinks and snacks and find an ATM. We give our guests an annotated map of the city center and of the surrounding area, together with descriptions of places of interest, shops, galleries, etc., keyed to our map. Anything else? Just ask!